Both countries need to work together to improve trust in democratic institutions. Though democracy still flourishes around the globe, it is coming under renewed strain worldwide. Established democracies have been facing new populist and nationalist challenges, while others have slid rapidly backward into varying levels of autocracy. Governments of all stripes are attacking freedom of the press, reducing transparency and closing space for civic engagement and civil society. The success of democracy in the future will require strong democratic models and champions to help others build and solidify democracy in their home countries. It also will require a concerted effort to rebuild trust between citizens and their governments. 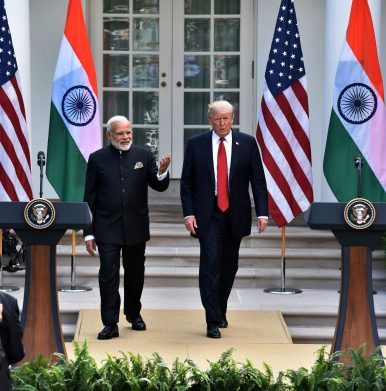 The United States and India – as the world’s two largest democracies – must build a strong partnership that can help bolster the prospects of democracy not only in each country, but around the world. Defence pensions and salaries have become too bloated. We need to downsize the army. We can never tell the true cost of war. Or the true cost of peace. But we can get an accounting cost of both war and peace. 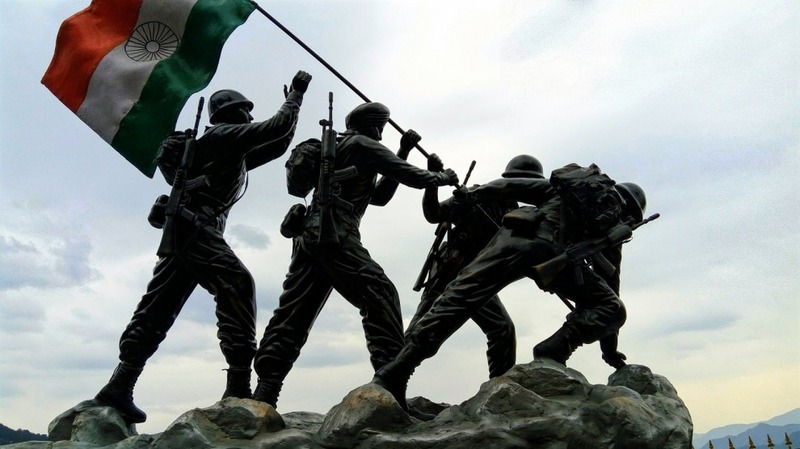 It is 2018, and the Government of India is still paying for the 1971 war and for the Kargil war. And for everything in between. Not in some convoluted manner – but as pensions to retired soldiers. A New China Military Base in Pakistan? Reports about Beijing trying to acquire another facility there could have significant consequences for the region. 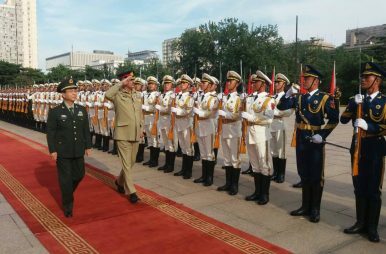 A recent report about China trying to acquire a military base in Pakistan has created new concerns about Beijing’s long-term strategic plans in the Indian Ocean. The new base is supposed to go up in Jiwani, about 80 kilometers to the west of the better-known Gwadar port. If China does establish a military base here, it will be its second foreign military base, after Djibouti, which was set up in August 2017. The Hambantota port in Sri Lanka given to China on a 99-year lease could possibly be added to the facilities available to China, though Sri Lanka has reportedly promised India that it will not allow the port to be used for military purposes. While the war in Afghanistan continues to fester unabated, one of the brighter spots in that ongoing conflict is the Afghan Air Force. The nascent air service is starting to mature and is starting to be able to employ airpower against its Taliban foe effectively using its own aircraft with the guidance of Western advisors. 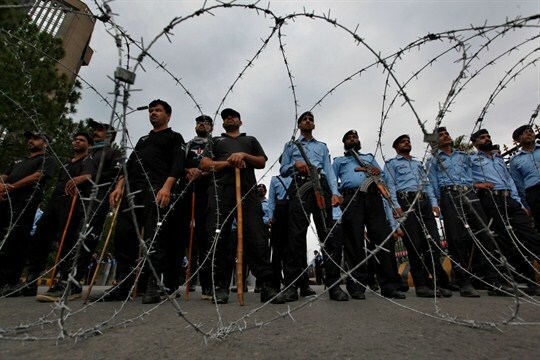 Earlier this month, the United States suspended security assistance to Pakistan, following through on a threat from President Donald Trump. The move was meant to signify Washington’s frustration with what it describes as Islamabad’s refusal to crack down on sanctuaries used by terrorists that target American soldiers across the border in Afghanistan. The U.S. airstrikes in Badakhshan are likely to please China, which may be helping the Afghans build a base in the region. Earlier this week, U.S. forces in Afghanistan carried out airstrikes on Taliban and East Turkestan Islamic Movement (ETIM) targets in Afghanistan’s northeastern province, Badakhshan. The region, mountainous and remote, is often characterized as difficult to cement control over. It is also the rumored site of a future military base, to be built for the Afghan army with Chinese assistance — a plan which some Afghan officials confirm and Chinese officials deny. A submarine with AI-augmented brainpower not only would give China’s large navy an upper hand in battle under the world’s oceans but would push applications of AI technology to a new level, according to the researcher, who spoke on condition of anonymity because of the project’s sensitivity. “Though a submarine has enormous power of destruction, its brain is actually quite small,” the researcher said. To no-one's surprise – but to considerable alarm – Ankara last week extended the state of emergency that has been in place since a failed coup attempt in July 2016. That makes the sixth extension since the coup; 18 months in which more than 50,000 people have been arrested and an estimated 100,000 civil servants removed from their positions. The ostensible reason for these arrests has been an attempt to root out followers of a US-based cleric called Fethullah Gulen, whom Turkey blames for the attempted coup. But with the state of emergency dragging up government opponents and politicians and forcing the closure of media groups, critics within and without Turkey have asked how proportionate president Recep Tayyip Erdogan has been. Trump’s Favorite General: Can Mattis Check an Impulsive President and Still Retain His Trust? Throughout his 40-year career as a Marine, Defense Secretary Jim Mattis built a reputation as an aggressive warrior, leading a blitz on Baghdad and pushing a reluctant Obama administration to hit back against Iran. Over the past year, he has learned to play a different role: acting as a check on an impulsive president. The big question is how long Mattis can continue to act as a force for continuity and caution and still retain influence with a president impatient to hit back at America’s enemies and swiftly win wars. 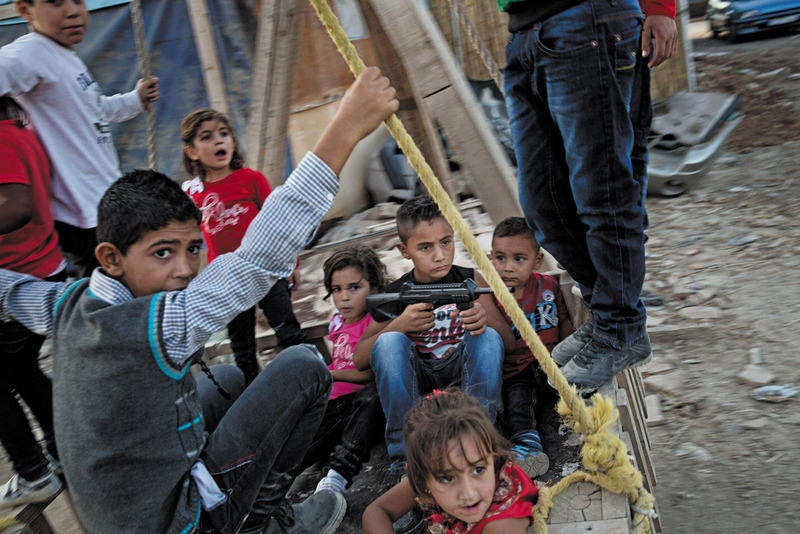 Over the last few years, well over two million mostly Muslim refugees have arrived in Europe, a fact that has come to dominate headlines and elections across the continent. This large-scale inflow has bolstered right-wing populism and pushed some mainstream conservative parties to the right on migration in order to protect their share of the vote. But while the refugee crisis has led to shifts on the right, it has also highlighted a strategic problem for the left: how to approach immigration and immigrant voters without driving away their working-class base. Recapitalizing the U.S. nuclear deterrent won't help. What's missing is a strategy and resources to reduce risks of cataclysmic accidents, miscalculation, and human error. The Trump administration’s nuclear posture statement comes at a particularly rough time, reminiscent of the transition from President Jimmy Carter to Ronald Reagan. Back then, an outgoing president had watched his ambitious arms control agenda fall to tatters. Negotiations on nuclear testing and space warfare had gone nowhere, while the prospect of a second Strategic Arms Limitation Treaty had been shredded by Soviet tanks rumbling into Afghanistan. Brazil’s gangs are challenging the state and each other in a contest for power. The powerful Primeiro Comando da Capital (First Command of the Capital or PCC) is at war with the Comando Vermelho (Red Command or CV) and its allies for control of the nation’s prisons, favelas, and lucrative criminal enterprises—including drug trafficking. As part of this deadly competition, the gangs are alleged to wield corrupt influence over politics—funding elections and bribing political officials. In the latest accusations, Wálter Maierovitch, a retired São Paulo judge and mafia scholar, raises concerns that the PCC is infiltrating political processes to elude state interference. He is concerned that this mafia-or narco-politics (narcopolitica) will extend to interference in Brazil’s upcoming national elections in October. What Would Happen if Terrorists Attacked the Super Bowl With Drones? Small unmanned aircraft are a threat to high-profile events, but taking them down safely is almost impossible. Drones could present a potential major threat to Sunday’s Super Bowl, but there’s no way to disable or shoot them down without endangering the people below, according to U.S. law enforcement documents and interviews with security officials on the ground. 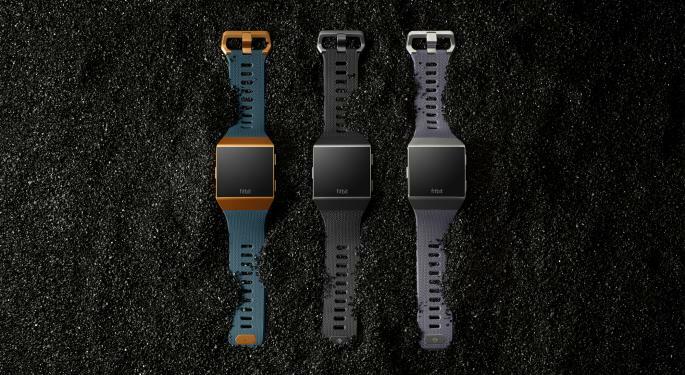 The U.S. military, formerly an unabashed advocate of Fitbit Inc FIT 0.38% devices, is reviewing its policy on the use of fitness trackers at operational sites after a workout app inadvertently exposed the whereabouts of secret army bases. Experts say the public data makes connected military personnel in conflict zones literal moving targets and, in some cases, betrays the coordinates of their confidential bases. Strava is "committed" to working with military and government officials to address sensitive data; reviewing features that could be compromised; increasing awareness of privacy and safety tools; and simplifying those tools, CEO James Quarles said in a Monday statement. The enormous global demand for smartphones in recent years has created a new global tech cycle. In 2016 alone, global smartphone sales reached close to 1.5 billion, one for every fifth person on earth. In turn, this has engendered complex and evolving supply chains across Asia. We show that the new tech cycle cannot be captured by standard seasonality, but depends on smartphone product release dates. Decomposing cycle from trend, we also show that the sale of smartphones may have peaked in late 2015. Asia, however, continues to gain in importance as the global tech manufacturer. Professor Lawrence Freedman and Sam Goldwyn have at least one thing in common: neither much likes making predictions, particularly about the future. Since there were first soldiers the weight they have carried has been subject to cyclical variation and much discussion. The upward trend that saw its zenith during operations in Afghanistan is now subject to a realisation that it is both unsustainable and undesirable. None of this is new, the Athenian General Iphicrates was widely credited with introducing a light force (Peltasts) that enabled them to overcome the much heavier armed and armoured Spartans at the Battle of Lechaeum. Increasing the length of their weapons and reducing the weight of their armour resulted in a force with increased mobility and firepower at the cost of protection. During the Thirty Years War, Gustav Adolphus of Sweden (often called the Father of Modern Warfare) favoured the use of combined arms where mobility was emphasised. Today’s Wars Are Based on a Fundamental Misunderstanding of History Until we correct it, we can count on ceaseless, tragic war. Vietnam: It’s always there. Looming in the past, informing American futures. A 50-year-old war, once labeled the longest in our history, is still alive and well and still being refought by one group of Americans: the military high command. And almost half a century later, they’re still losing it and blaming others for doing so. Of course, the US military and Washington policymakers lost the war in Vietnam in the previous century and perhaps it’s well that they did. The United States really had no business intervening in that anti-colonial civil war in the first place, supporting a South Vietnamese government of questionable legitimacy, and stifling promised nationwide elections on both sides of that country’s artificial border. In doing so, Washington presented an easy villain for a North Vietnamese-backed National Liberation Front (NLF) insurgency, a group known to Americans in those years as the Vietcong. Despite the rising salience of missile threats, current air and missile defense forces are far too susceptible to suppression. Today’s U.S. air and missile defense (AMD) force lacks the depth, capacity, and operational flexibility to simultaneously perform both missions. Discussions about improving AMD usually revolve around improvements to the capability and capacity of interceptors or sensors. Rather than simply doing more of the same, the joint integrated air and missile defense (IAMD) efforts might be well served by new or reinvigorated operational concepts, here discussed collectively as “Distributed Defense.” By leveraging networked integration, Distributed Defense envisions a more flexible and more dispersible air and missile defense force capable of imposing costs and dilemmas on an adversary, complicating the suppression of U.S. air and missile defenses. Although capability and capacity improvements remain essential to the high-end threats, the Distributed Defense concept focuses on creating a new architecture for today’s fielded or soon-to-be fielded IAMD force to boost flexibility and resilience. 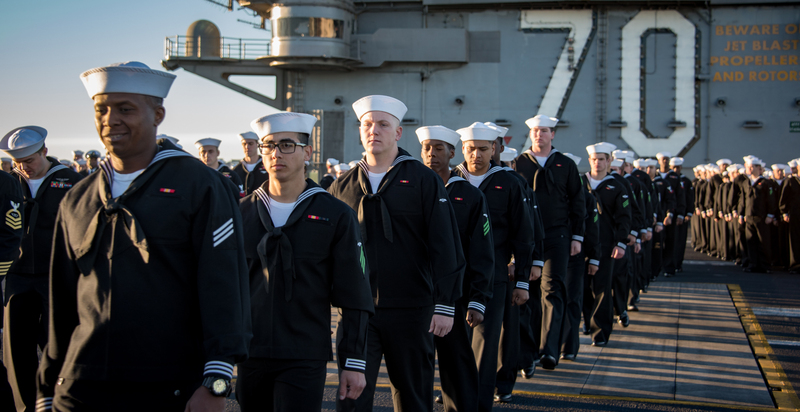 The Navy is asking Congress for more flexibility to recruit rewards for talent and promote to higher rank its officers to better compete in the career marketplace, the service’s personnel chief said Wednesday. 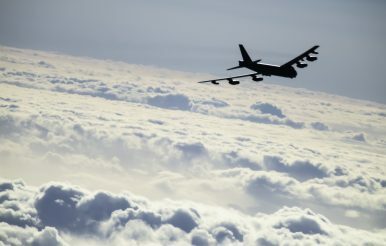 British defence spending and capabilities are in the middle of a bitter review in which the potential threat from Russia is frequently invoked, whether that means cutting ocean-bottom internet cables, flying bombers into our airspace, or invading Nato territory. Russia is – to use a word of the day – being weaponised in the name of particular service interests and justifying big-ticket new systems. Nonetheless, given that Russia is the most serious aggressor the UK might have to face, it is striking how little discussion there has been about what kind of British military capabilities genuinely concern Russian soldiers and planners.